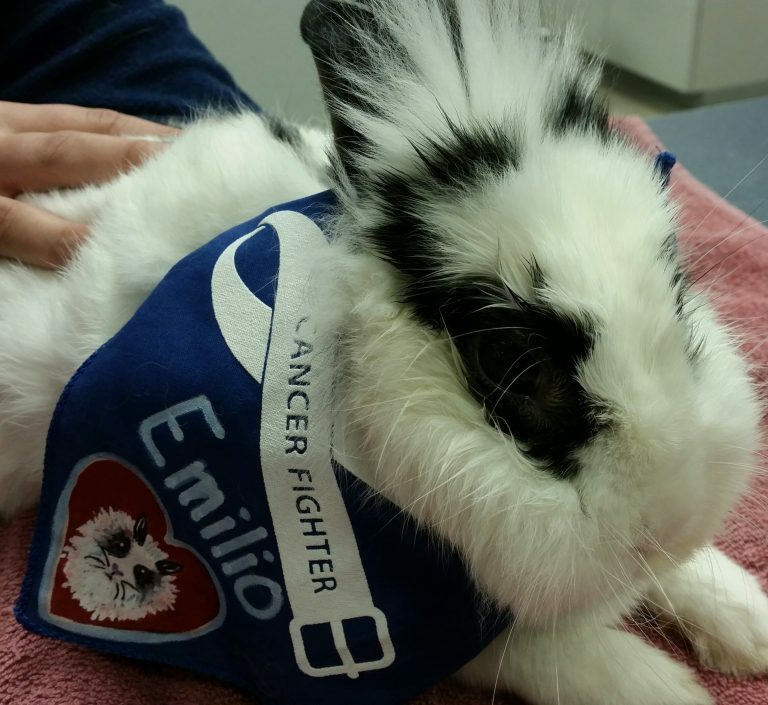 Emilio is a three year old Lionhead rabbit who presented to our Hilliard location because he was having trouble breathing. Dr. Barbara Oglesbee diagnosed him with a cancerous mass, and he is undergoing radiation therapy at MedVet Columbus with Dr. Deb Prescott. Radiation has already shrunk the tumor enough to allow him to breathe and feel well enough to eat again! We are so happy for this success, thanks to the combination of talents of our specialty services!